﻿ JS Pools | Fibreglass Pool Installation for Canberra and N.S.W. | Why Fibreglass? Why would I choose a fibreglass pool? 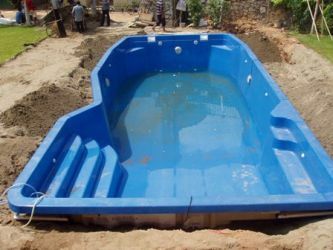 Fibreglass pools can be installed in around a week, not months like a concrete pool. Fibrelgass pools are smooth and have no sharp or rough edges on the sides or floor to cut your hands or feet on. Concrete pools are rigid and do not flex. Minor ground movement (such as the freezing and thawing in harsher climates) will cause concrete pools to crack. Fibreglass pools will flex up to 30cm before cracking or breaking. Algae will grow on the porous surface of a concrete pool. Cleaning and removing algae requires acid washing causing the surface to become more abrasive. The concrete pool will then need to be sandblasted, re-plastered and re-painted. This is costly in both time and money. A fibreglass pool has a smooth, non porous surface that will not harbor algae therefore the pool surface does not require additional maintenance. Vinyl lined pools require replacement of the liner very 3-10 years depending on ultraviolet deterioration from the sun and corrosion from harsh chemicals required to sanitize the pool. They also suffer from pin holes, tearing of the liner and separation of the seams. The surface of the fibreglass pool will remain like new and can withstand pets and children’s pool toys. No further maintenance is necessary. Fibreglass pools are 17 times stronger than concrete pools and have a flexible strength of 54,000 psi., allowing the pool to flex up to 30cm. East to clean and maintain. Because of the smooth, non porous surface, fiberglass pools do not harbor algae. Very little brushing is needed and the pools can be vacuumed quickly. Fiberglass pools use two thirds less chemicals such as chlorine, algaecides or other sanitizers than concrete and vinyl liner pools. Concrete and vinyl liner pools require 3.0 ppm to sanitize their pools. Fiberglass pools require only 1.0 ppm. This eliminates the need for expensive sanitation systems to reduce the amount of chlorine in the pool. Just think, no more red eyes, strong odors, discolored hair or faded swim wear. 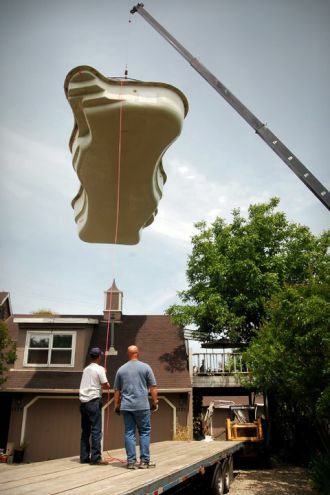 Fiberglass pools conduct heat and act as an insulator reducing your heating bill and electrical cost. You will be able to enjoy the swimming season longer without breaking the bank!